"For over 30 years, Stuart Meyers has worked in, trained, or commanded Special Weapons and Tactics units, in US and foreign law enforcement agencies. I know of no one more qualified to bring these fascinating case studies to life for those who want to understand how to battle criminals and terrorists while saving lives. An excellent read for professionals and non-professionals alike." 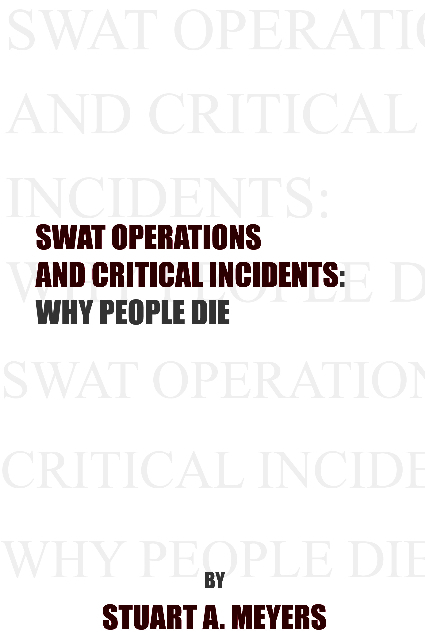 "Stuart has written an insightful book capturing the many challenges and often-discussed topics related to law enforcement critical incidents and SWAT operations. This book should be added to the reading list of all SWAT personnel and commanders at every level." "A one-of a kind resource for the special operations and broader law enforcement communities." The OpTac International Rifle Data Book offers the best design to ensure proper documentation of training and operational information. A Guide To Police Sniping has been sold worldwide to law enforcement, military, and counter-terrorist teams. It includes cutting edge advancements in the field of sniping. "This book is one of, if not, the most informative books I have read. Outstanding!" "Drawing from his experience as well as extensive training, Officer Meyers guides his reader, step by step, through a suggested sniper program. 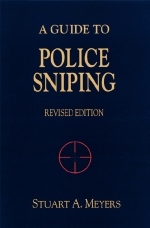 A Guide To Police Sniping is an excellent treatise on an important subject, and should be considered essential reading for present and future SWAT snipers as well as law enforcement administrators." "A Guide To Police Sniping is an outstanding book which provides information and common sense organizational and critical incident guidance germane to the incident commander, the SWAT supervisor, and the police sniper. This training and tactical reference should be part of every SWAT Unit's library. Meyers is ON TARGET!!"